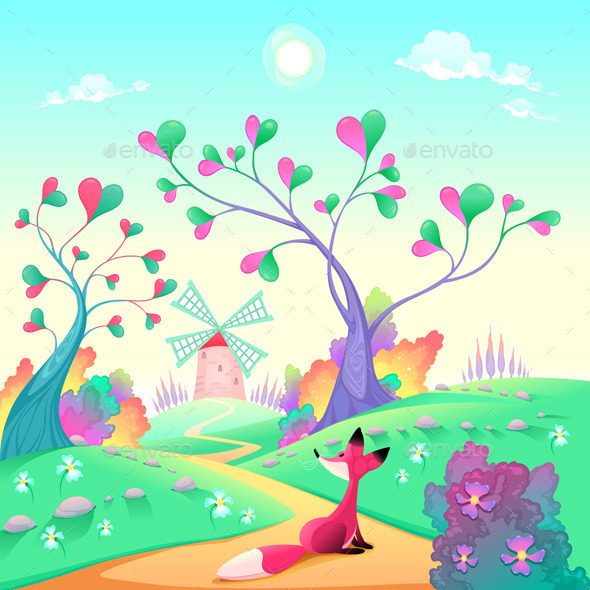 Romantic landscape with fox. Funny cartoon and vector illustration. High Resolution PSD file (separated elements on different layers).